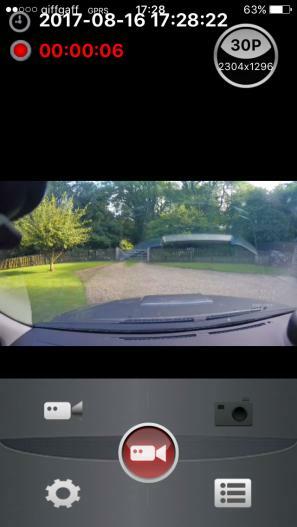 The RoadHawk Vision is a slightly different proposition to the other dash cams on test in that it eschews the usual bells and whistles in favour of concentrating on the task of capturing video. There’s no GPS receiver, for example, nor is there an integral screen. Although branded a 1080p camera, its sensor can also record footage in two ‘Super HD’ resolutions of 2560x1080p and 2304x1296p, both at 30fps (well, 29.97 to be exact). A higher frame rate of 60fps is available in 720p, while 1080p can also be captured at 45fps. In addition, and unique to our group, are a pair of HDR modes of 1080p and 720p. It can capture stills at resolutions of 4MP, 9MP and 13MP, too. The camera itself takes the form of a small tube, with a forward-looking lens towards one end and a simple rotatable mount on the other. The unit is supplied with an adhesive mount as standard, while a suction mount is available as an accessory, although due to the lens’ 120-degree wide-angle view, we found the suction mount was visible in the frame. There’s also no quick-release mechanism as such, and sliding the camera out of the stiff mount is something of a challenge, so it’s best thought of as a mount-and-forget unit. An 8GB MicroSD card is included, although the camera will support capacities up to 128GB. A 4m power cable is also in the box, terminating with a cigarette lighter adaptor, along with a shorter USB cable for connection to a PC. Be aware, however, that the unit automatically enters Mass Storage mode when it detects a PC connection, during which the Wifi connection becomes unavailable – something to bear in mind when testing. With no battery to speak of, the unit must be powered from the vehicle to operate. However, we noticed an issue while testing the Vision in diesel cars: the unit would start recording as soon as the ignition was switched on to activate the engine’s glow-plugs but, as most cars cut power to the accessories as the starter motor turns over, the RoadHawk would switch off again, and wouldn’t restart automatically when power was restored. Once up and running, though, the RoadHawk will record video in files ranging from one to five minutes in length (one being the default). Should the unit detect an impact via its built-in G-sensor, it will save the 10 seconds of footage prior and 20 seconds after the incident to a separate clip within an ‘Event’ folder on the SD card. Up to 50 event clips can be stored with the oldest being automatically overwritten should more be required. The footage can be reviewed either by connecting the camera to a TV through its HDMI port, to a PC via the USB port, or by ejecting the card and copying the files directly. 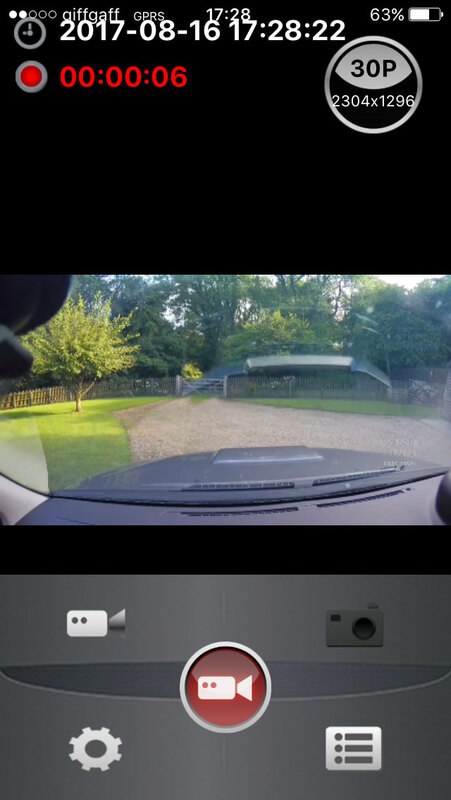 In addition, a RoadHawk Vision app is available for both iOS and Android that provides most of the essential functions: live preview, configuration settings, stopping and starting recording, capturing stills, reviewing footage and downloading it to your phone. While perfectly serviceable, it’s perhaps the least polished of the apps on test, particularly with regard to its appearance. However, it’s clear RoadHawk have concentrated on image quality, because the Vision captured what we felt was the best overall footage of all the units on test. It managed to retain that performance level at night, too, and although noise was clearly visible as the gain was increased, its form was not dissimilar to a fine film-grain, and certainly not intrusive. 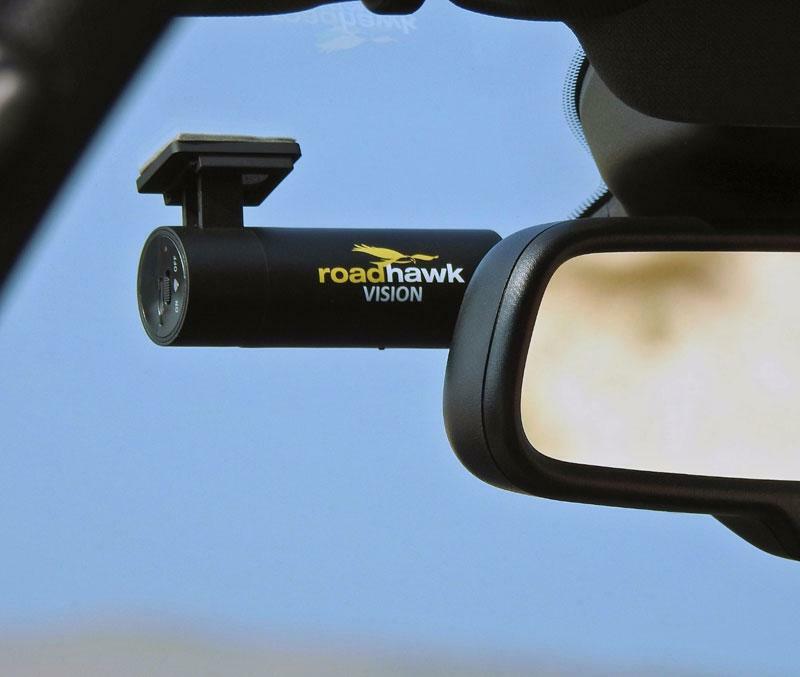 Its diminutive size makes it easy to tuck behind a rear-view mirror and, coupled with its no-nonsense approach, well-judged image quality, and usefully wide video modes, the RoadHawk quickly became something of a personal favourite.